From left to right: Melanie Few, Sheilah Belle, Gina Miller, Dorinda Walker, Toya Beasley, Kimberly Norsworthy and Tamika Stembridge, Esq. 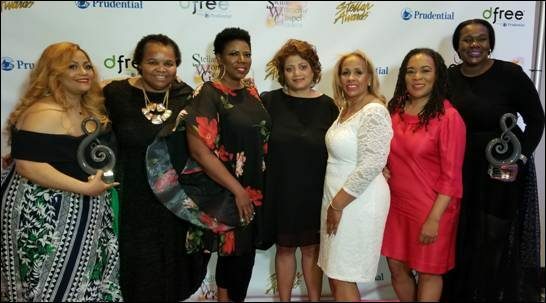 TBR — (Las Vegas, NV) – April 2, 2018 – The 3rd Annual Stellar Women of Gospel Awards was recently held at the Palms Hotel in Las Vegas, NV. The invitation-only annual event, birthed through visionary Toya Beasley, celebrated three years of honoring exceptional women who, though often unseen but often known by their names, are instrumental in bringing Gospel music and faith-based entertainment to the world. This year the honorees ranged from management to make up, studio to show, publishing to promotions and marketing and public relations. According to Beasley, “the Gospel music industry does not exist, let alone function as well as it does, without the efforts of these individuals who work tirelessly behind the scenes.” Their contributions are endless and their giving spirit and commitment to the industry knows no end and because of that these outstanding female professionals in the Gospel Music and Faith Based Industry were selected to be honored! Music Industry Veteran, Radio & TV Personality, Promoter and CEO of The Belle Report & Digital Social Media Connect, Sheilah Belle “The Belle,” Founder & Managing Partner of RESULTS MARKETING & MEDIA, INC., Melanie Few, Veteran Public Relations Strategist & Founder of Worth Ink Public Relations & Media Strategies, Kymberlee Norsworthy, Executive Director of the dfree Global Foundation, Tamika Stembridge, Esq., Radio Veteran & Personality and Evangelist Cheryl Jackson, and Celebrity Wardrobe stylist, Creative Director, Columnist, TV personality and budding actress Thomasina “GooGoo” Atkins. 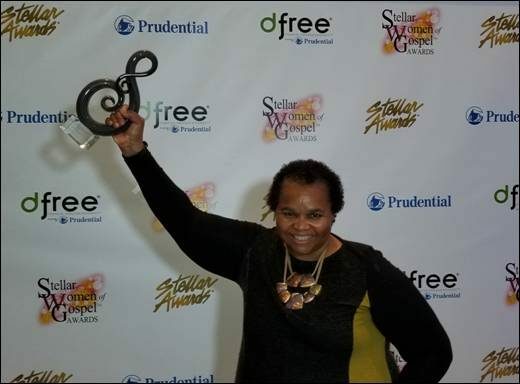 The Stellar Women of Gospel Awards gives women who work behind the scenes the attention that their achievements merit. By lifting them up, at this Awards Show, it is also the goal to highlight these models of successful women on an even larger scale. Special guests performances were also given by Gospel recording artist Bishop Jason Nelson and Stellar Award-nominated and Billboard #1 independent recording artist Bryan Popin. Serving as this year’s host was Rev. Dr. DeForest Soaries, Jr., who also serves as the Senior Pastor of the First Baptist Church of Lincoln Gardens in Somerset, New Jersey. This year’s presenting sponsor was Prudential.